Hello Lovelies! As a lot of you might already know or noticed, MOM jeans are a huge trend right now. Personally they remind me a lot of boyfriend’s jeans but anyway today I thought I will show you show I would style them. I put three outfits together, one for day time more on smarter side, another one just simple casual outfit and last but not least a night-time outfit. All jeans are from Topshop. The light-washed MOM jeans as mentioned before are from Topshop. I choose a light weight cami print top to go with them. Also I choose a blazer style jacket, as the pink colour matches well with the top. As for shoes I choose these plain white heels from eBay, which seems to be a popular choice among other bloggers. This is definitely a more of casual look. The white crop top is from TopShop. 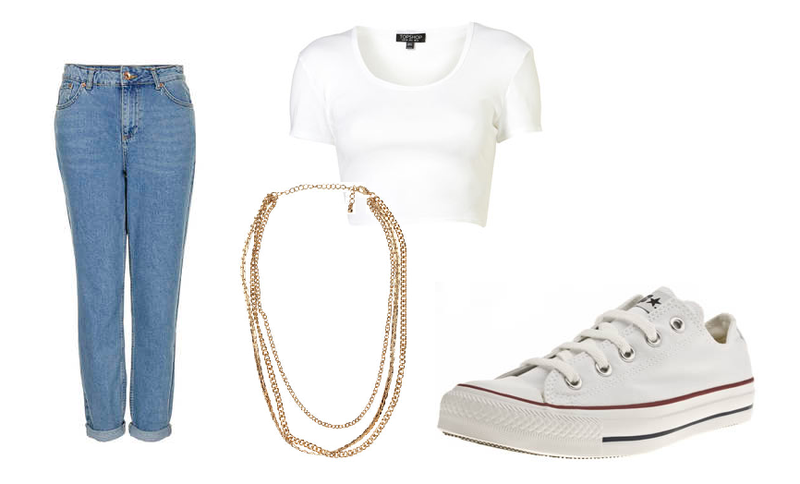 For shoes I went with converse as they are comfy and finish this look perfectly! As for accessories I only choose simple gold chains, which make one necklace. This look in my opinion is more suitable for night-time. 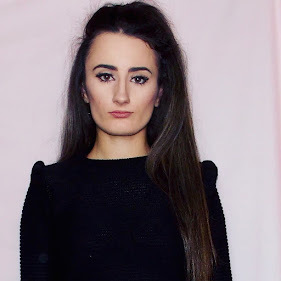 I choose dark washed jeans, which I paired with a black crop polo neck which is from Topshop. For shoes I went with these black Jeffrey Campbell foxy dupes, which are from Treds shoes (Currently on sale for £4.99 down from £29.99) For my accessories I went with a simple gold spiked necklace which is from River Island.